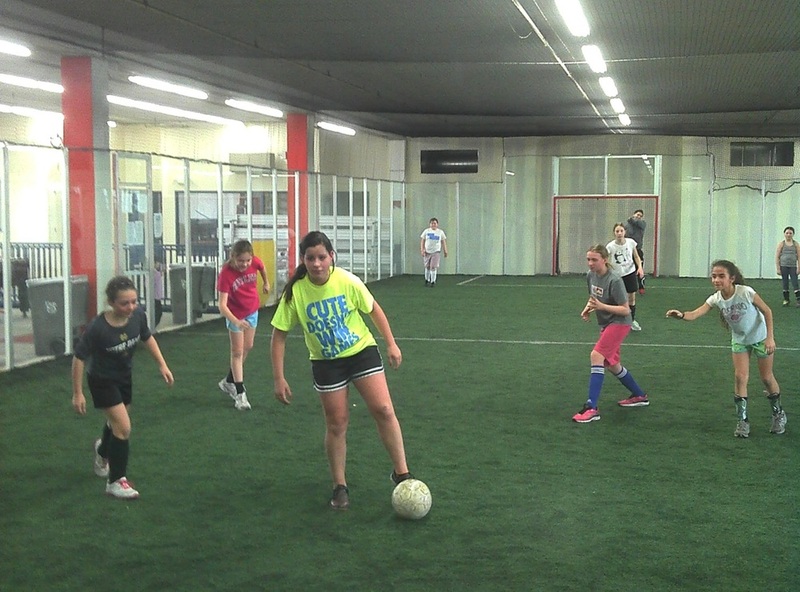 The Elgin Parks and Recreation Foundation is looking for a partner to help them offer a free drop in soccer program at the Eastside Recreation Center (ERC) located at 1080 East Chicago Street. Poplar Creek Apartments, which is located next door to the ERC, is where the target market for this program resides. Many of the families in Poplar Creek Apartments cannot afford to put their children into organized sports such as basketball or soccer. During the colder weather months many of the children in Poplar Creek spend the majority of their time indoors, getting very little exercise. According to a study done by Team-up for Youth, “physical activity, including participation in organized sports, produces positive changes in physical health for children and youth. It can reduce fatness, strengthen bones and help maintain a healthy heart and circulatory system”. To start this program we are looking for a community partner that is willing to sponsor the drop-in soccer program at the Eastside Recreation Center for the spring of 2014 at a total expense of $1,920. This program will take place every Friday from 3 p.m. to 5 p.m. from January 1 until April 25, 2014. Riverworks Outreach will be assisting with the promotion and supervision of this program. They specialize in serving the families of Poplar Creek. The Elgin Police Department will also be involved, as officers will be dropping by to join in the soccer games. Anticipated Outcomes – we expect to average 30 - 35 children between the ages of 6 and 10 years of age to participate each week. These children will have the opportunity to socialize, exercise, practice teamwork, be in a safe environment, and just plain have fun. Equally important is that the children attending this program will not be home alone, without parental supervision. Statistics show that the time of day when most young people get into trouble is between the hours of 3 p.m. and 6 p.m., when they are frequently at home and unsupervised. The program is also expected to help develop positive relationships between the neighboring families and the police officers that serve them. Your company identified as an ERC Program Partner on all four flat screens located throughout the ERC. Your business brochures/cards available to our users on our Partnership rack. A day for your company to come to the ERC and interact with the users. Recognition in the Parks and Recreation quarterly program brochure (7,000 copies hand distributed every 3 months; on line version received over 4,000 views per month). Recognition on the ERC and Parks and Recreation websites – over 2,000 hits per month. Download a PDF of this sponsorship package.